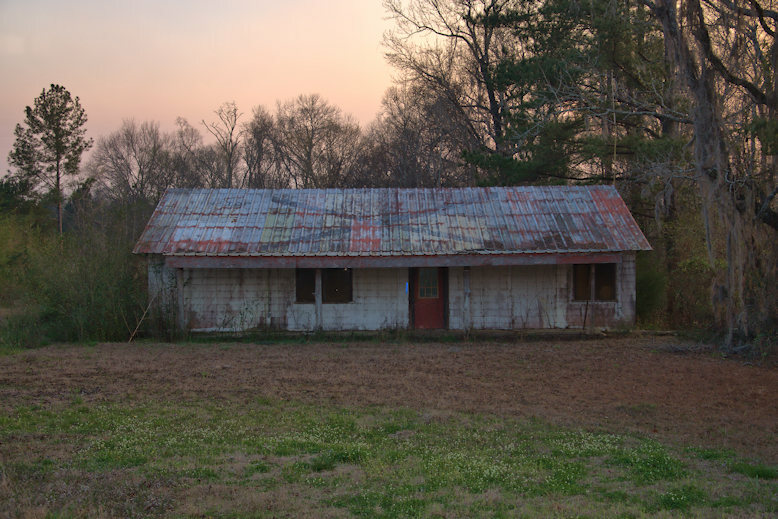 Saffold is located just across the Chattahoochee River from Alabama. It was the site of the Southern Confederate States Navy Yard during the Civil War and at least one gunboat, aptly named Chattahoochee, was completed here. 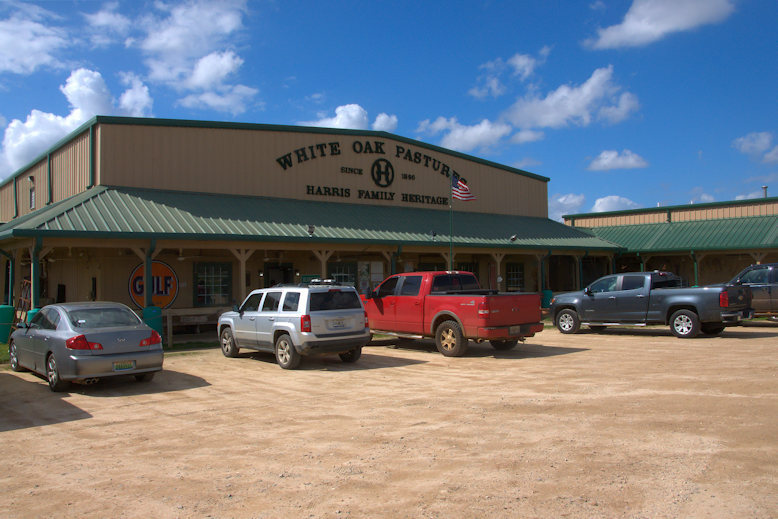 Since 1866, five generations of the Harris family have cultivated the land they call White Oak Pastures. 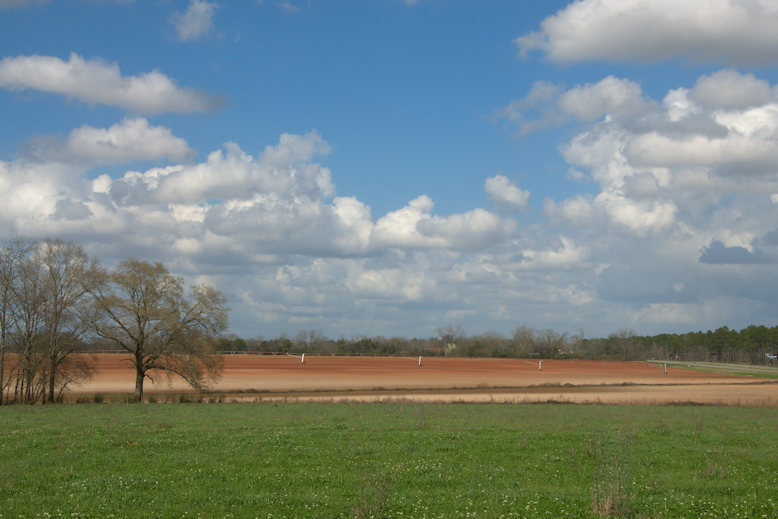 Today, it’s the most diversified farm in the South and the gold standard of sustainable agriculture in Georgia. 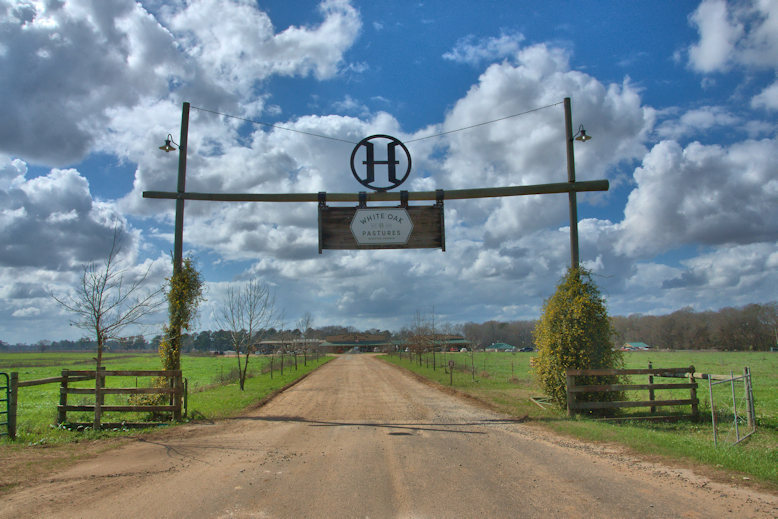 Their grassfed beef and lamb and pastured poultry are sold throughout the Eastern United States. Driving around the Bluffton area, it’s obvious that White Oak Pastures is having a major economic impact on the area. Will Harris is a fourth generation cattleman, who tends the same land that his great-grandfather settled in 1866. Born and raised at White Oak Pastures, Will left home to attend the University of Georgia’s School of Agriculture, where he was trained in the industrial farming methods that had taken hold after World War II. Will graduated in 1976 and returned to Bluffton where he and his father continued to raise cattle using pesticides, herbicides, hormones and antibiotics. They also fed their herd a high-carbohydrate diet of corn and soy. These tools did a fantastic job of taking the cost out of the system, but in the mid-1990’s Will became disenchanted with the excesses of these industrialized methods. They had created a monoculture for their cattle, and, as Will says, “nature abhors a monoculture.” In 1995, Will made the audacious decision to return to the farming methods his great-grandfather had used 130 years before. Since Will has successfully implemented these changes, he has been recognized all over the world as a leader in humane animal husbandry and environmental sustainability…His favorite place in the world to be is out in pastures, where he likes to have a big coffee at sunrise and a 750ml glass of wine at sunset. 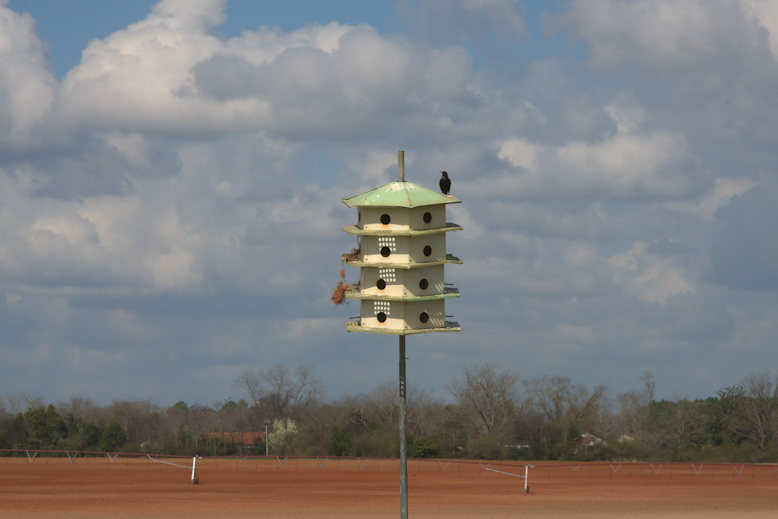 I knew it was a good sign when I saw Purple Martins (Progne subis) scouting nesting locations at one of the “apartments” near the entrance. The organic quesadilla I had in the restaurant was literally one of the best I’ve ever eaten. We got there a bit after the normal lunch hour, so we missed the pork chops and sweet potatoes that were on the menu for the day, but this was a great substitute. I’m glad this is one place and way of life that is not vanishing. 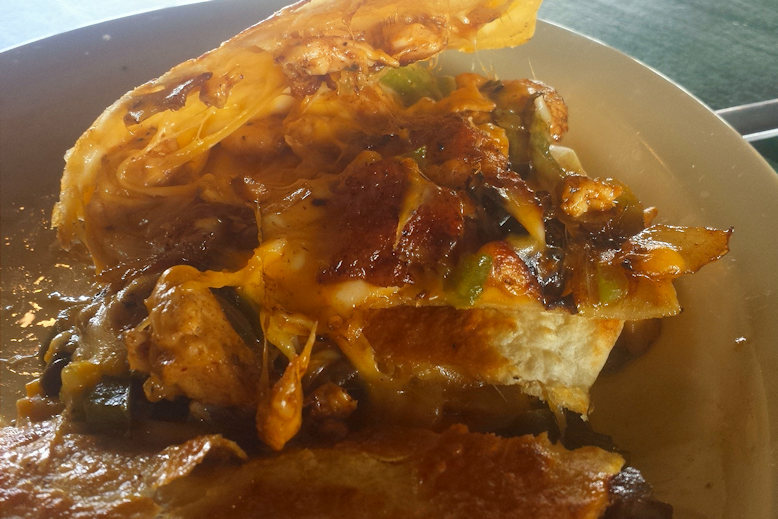 Drive a little out of your way and have a meal, stop by the general store in Bluffton, or, if you need to escape the daily grind, spend a night in one of their on-farm accommodations. 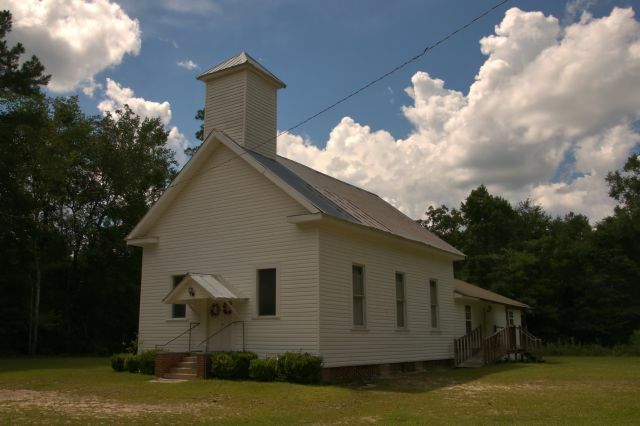 Though sided with asbestos today, the exterior of this church would have originally looked just like the interior, as seen below. The congregation dates to 28 September 1887, though I’m not sure when the church was built. 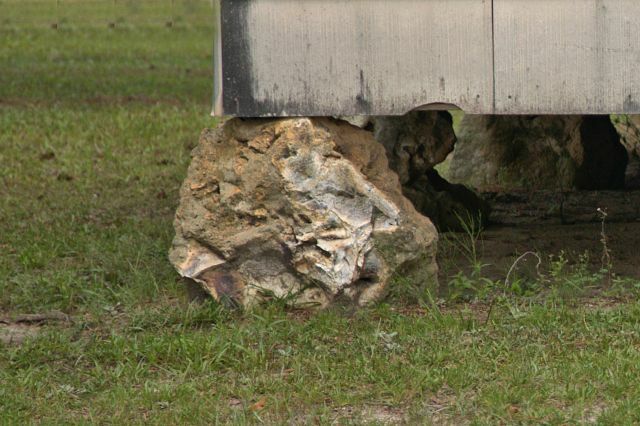 It’s set on fieldstone pillars. 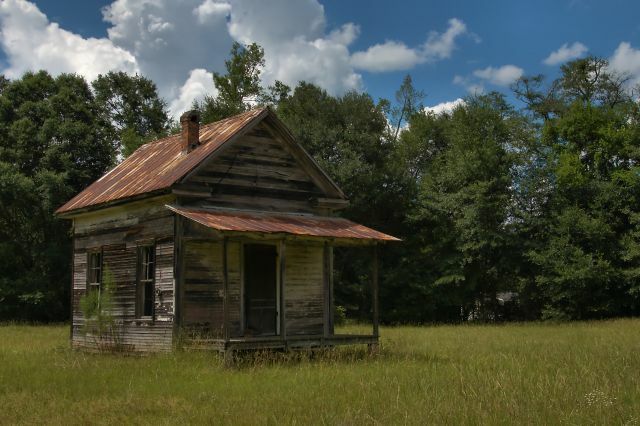 This is quite small, even for a shotgun house, so I initially thought it might be an old office building, but there’s another one on the property (which I was unable to photograph due to vegetation) which led me to believe it might be a tenant house. Pete Tyson clarifies: That was the first aid/hospital of Cedar Springs that Mrs. S. A. Wright told me about. 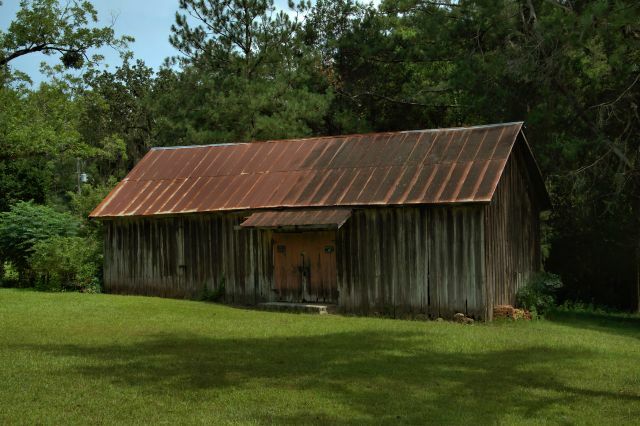 It was moved there in the 1960’s from the little dirt road behind Johnny Golden’s store. 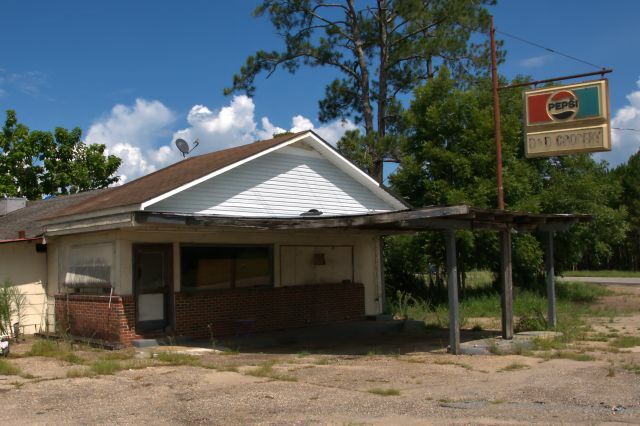 It was a barber shop (drinking spot) that was run by Bill Adams and he later moved his shop to Columbia, Alabama, to the old Orr’s Gun Shop on Highway 52. The other was a beauty shop run by May Megahee. Though it’s obviously best remembered as a barber shop, I’m identifying it by its original purpose. 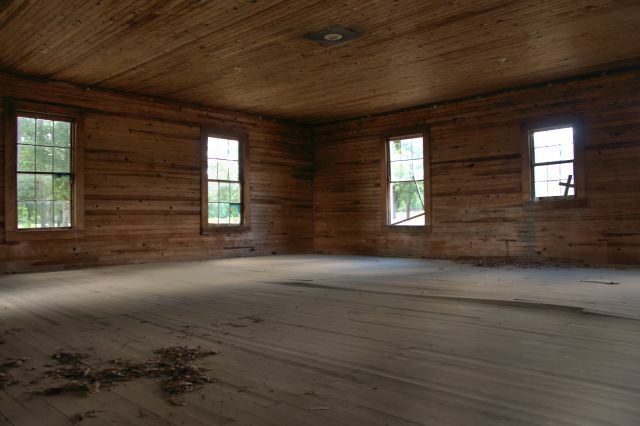 Janet Megahee Hudson writes: This was once the First United Methodist Church of Cedar Springs. 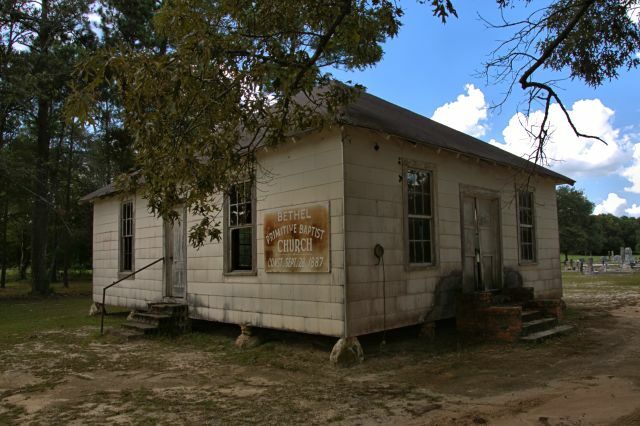 My grandparents attended: George Earle and Edna Clare Sheffield Megahee.